Minimum of 1 mention on the Bluegrass Education Expo Facebook page, Instagram, or Twitter feed quarterly. Total of 4. 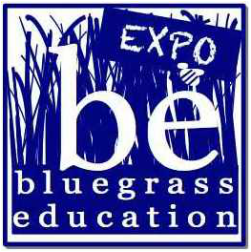 To be a Bluegrass Education Expo Sponsor or Exhibitor, please download, complete and return this form. Opportunity to submit 1 piece of content quarterly to Bluegrass Education (Website / Blog / or Facebook page) --total of 4 pieces supplied by the sponsor. Minimum of 1 mention on the Bluegrass Education Expo Facebook page, Instagram, or Twitter feed semiannually. Total of 2.